Jonathan Scott speaks about wildlife, conservation and the lessons businesses can learn from big cats – a fascinating and entertaining theme. Slimbridge. BBC Wildlife Magazine readers Day in association with Swarovski. The Daphne du Maurier Festival 2010. Fowey Cornwall. “To come in cold and take on a role that you had no knowledge of is a star turn indeed. The Scotts are interested in lending their name to conservation projects that share their values, namely protecting the habitats of creatures in the wild, creating sustainable community conservation projects with local communities and leveraging high end tourism as a way of generating revenue for conservation projects. The integrity of the Scotts own reputation within conservation circles is an invaluable asset for any co-brand partner. Jonathan Scott is the world famous presenter of the BBC’s Big Cat Diaries. 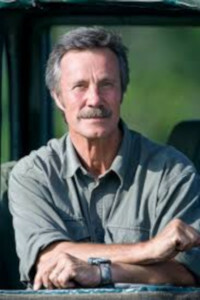 He brings to any project a tremendous presenting charisma and knowledge of wildlife. For brands seeking to develop in-house TV, advertising and web content around their conservation activities, Jonathan’s superb presenting skills bring brands to life. Premium brands, and especially destination brands such as resorts, live or die by the quality of their imagery. In a world where everyone has access to stock photography, the Scotts are able to offer a huge competitive advantage to the brands they partner with, both in terms of their ability to shoot new imagery for a brand and in terms of their library of images representing two lifetimes of work across the globe from India to the Antarctic.